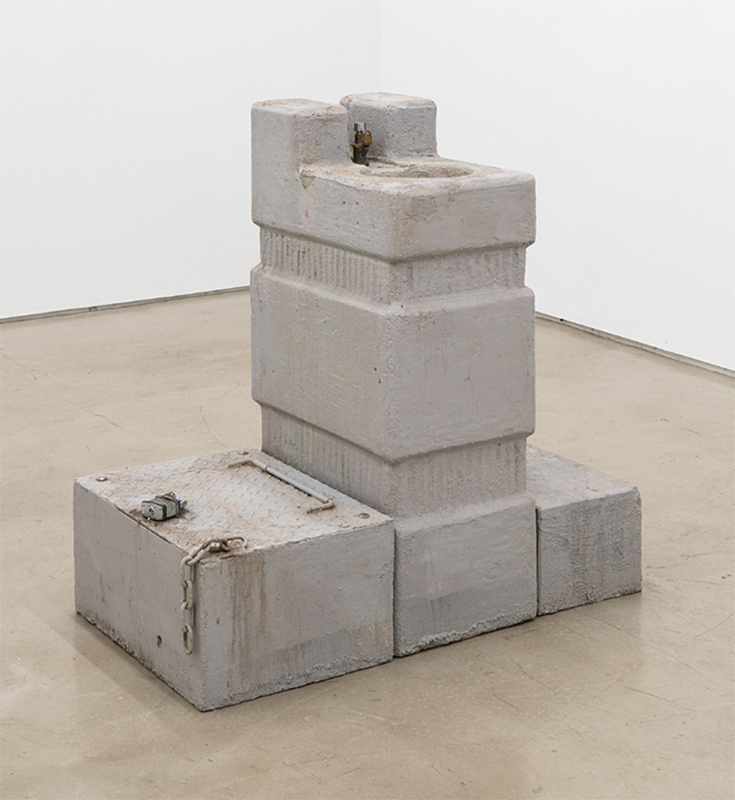 Fiona Connor, On What Remains (fountain), 2015, concrete, expanded polystyrene foam, antique brass hardware, plumbing supplies, steel, plywood, paint, coatings, car battery, pump, water, 36 × 24 × 36". 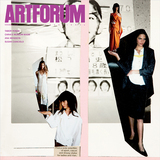 The fountain has a storied andgiven its outwardly prosaic natureoddly auspicious history in modern and contemporary art: from Duchamp’s foundational icon (actually a urinal, of course) to more recent examples including Bruce Nauman’s gushing self portrait of 1966–67; Helen Chadwick’s excremental chocolate-lover’s dream/nightmare Cacao, 1994; and the spouting-nippled Christ that formed the centerpiece of Robert Gober’s solo exhibition at Matthew Marks Gallery in 2005. Something about this technically simple bit of plumbingperhaps owing to its sometimes-awkward fusion of humble domesticity, grandiose public ornament, and bodily functionalways seems to stir things up. With the first installment of her New York solo debut, “On What Remains, Part One,” Los Angeles–based artist Fiona Connor added her name to the list of those who’ve sprayed water in our eyes.